Leaders – Instead of New Year’s Resolutions Do This! We inch closer to Jan 1st. We feel the excitement of a New Year. We reflect on our report card from the previous year. Then we sit down and make our New Year’s Resolutions. I don’t know about you but I have never been too good at this. 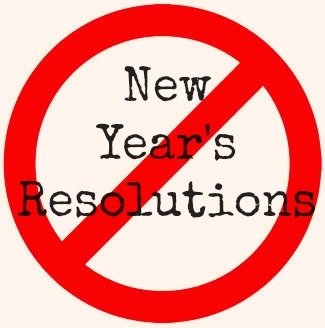 As leaders I challenge you to pass on the temptation to make another list of New Year’s Resolutions. Instead I want to ask you a question that will hopefully compel you to spend some time thinking of your New Year in a different light. Did you have to think about that for a minute? I did the first time I was asked that question and actually had to provide an answer. We all know the answer….we just don’t want to say it. We don’t like that answer because of what it implies. If I am responsible for my own leadership development I should actually have a plan. Ouch! I have experimented with many different versions of a personal leadership development plan and found this format most useful for me: (Personal Leadership Development Plan). Print it out today! Goals: Be specific here. Make sure your goals are observable and measurable. Relationships: Complete this sentence, “I will make an intentional effort to connect with these people this year…” Maybe they are someone you admire in your professional field or a neighbor you want to build a deeper friendship with. List them by name, add their contact info, list a few possible ways to connect. Books: What did I learn from my personal reading time last year? What books am I going to read this year? List them and schedule them! Looking for a few good reads; check here. Courses: The internet provides virtual and distance learning for almost any profession or hobby. Many of these are fairly inexpensive and can be conducted at your own pace. Once again, be specific. List them and schedule them. You will be glad you did! Conferences: Regardless of your profession, there are likely numerous events or conferences you can attend that will help build your leadership skills. A few tips here: Don’t wait for the last minute. Do a little research. Don’t think you have to go to the one major national conference. You may actually be able to attend via webcast or podcast instead of physically travelling to the event. Regardless, conferences take a little more time so get them on the calendar early. Blogs: What websites or blogs will I follow for new and fresh information? Podcasts: What podcasts will I listen to each week or month? For me personally my commute to and from work has become my primary time for podcasts. Regardless of the format, the key is to have a plan….a specific plan. As a leader, parent, or spouse, others depend on you. Don’t leave your leadership development to chance! This entry was posted in Leadership and tagged goals, leadership, new year. Thank you for your excellent post Brad. Too many people walk aimlessly through life because they don’t accept that for their life to be better they must become better; and becoming better doesn’t just happen, it takes a plan.